Need help finding the perfect design for your wedding cake? You are welcome to discuss your ideas at a tasting meeting to try our cakes and discuss your requirements in more detail. Samples of all flavours, Luxury Rich Fruit Cake, Chocolate Fudge Cake, Classic Vanilla and Zesty Lemon will be available for you to taste, with our compliments. Bring along any inspiring photos of cakes you like the designs of. If you haven’t yet found any photos of cakes you like, then design brochures will be available for us to look through together for inspiration. 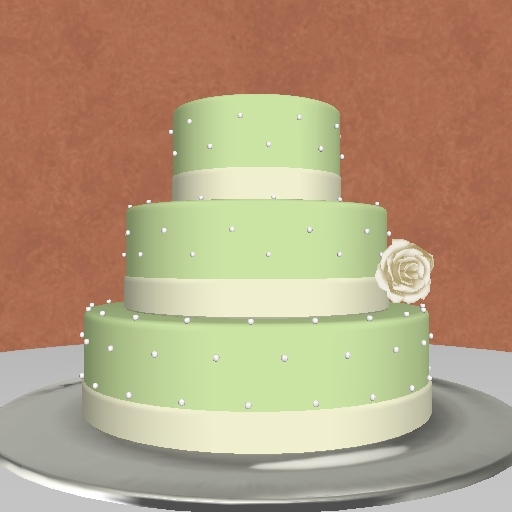 If necessary, we will use the very latest wedding cake design software to come up with your perfect cake design. We create a computer generated 3D image of your bespoke cake so you know exactly how your unique, one-off cake design will look on the day. Following the meeting, an agreement outlining our discussions and decisions reached will be emailed to you, with images. A deposit of 50% of total price will secure your date. The remaining 50% is not payable until 2 weeks before your wedding date. Your booking is only tentative until a deposit is placed. Meetings take place Monday, Tuesday or Wednesday mornings around 9.30am - 2.30pm, we are happy to travel to you if you live locally. The meetings take around 45 minutes. Alternatively, if you are unable to make a meeting we can hold discussions via telephone and tasting samples can be delivered to you. Call on 01322 611950 or email us to arrange your wedding cake consultation.